The Only shopping Club For Vendors Who Want to partner With The Worlds Best! If you are willing to pay a premium for the luxury of not having to shop around for the best things for your store under a coveted brand then Slay club World is for you! Discover the World’s most premier bespoke shopping club, not just because of what it sells but how it sells it. Find anything from mere clothing to more assorted paraphernalia. Handmade products are all the rage right now and Slaylebrity is packed with it. With revenue stream of over 100 million USD Slaylebrity is devoted to enriching the lives of its members through meaningful experiences and unparalleled access to the world of luxurious creative products. Slay club world was imagined to redefine luxury living by harnessing our rich global connections and expert cultural knowledge to elevate the lifestyles of our elite vendor members and allow them more time to access and enjoy the things they cherish without having to worry. With an International network of over 60 global partners our 5000 strong lifestyle managers, stylists, photographers and expert specialists are on hand 24/7/365 to manage our members’ ever growing appetite for the worlds most unique items and experiences. The mission of our devoted team is to enhance our members’ day to day lives and fulfill their biggest dreams. Through bespoke experiences and lifestyle services our members get to enjoy the luxury of not having to source and create products on their own or create tedious campaigns. In today’s fast paced world the significance of time can never be overstated. As a Vendor member you’ll discover without fuss and stress the best products that sell and leverage on our brands unique global reach. You’ll have access to the world’s best and most extravagant items and you’ll do this all from the comfort of your home or wherever you like. Trying to figure out the perfect items to stock in your store both online or physical will now be a thing of the past, as you’ll have direct access to the world’s best fashion and lifestyle creations including luxury packaging. Enjoy Special rewards and discounts as a shopping member. As a premier member you’ll get to show off your elite standing with our coveted membership cards. Enjoy our custom work of art and show off your status and personal / brand story of success to the world. Each card represents your level of membership ranging from bronze to the ultimate Gold card. You will also be granted access to our elite social network to share your shop stock with others. Do you love everything luxury? Are you all about living the luxury lifestyle? Would you like to sell luxury things? Do you dream of having an income that allows you to spend more time socially with your friends and family? Have you got the desire to achieve a lifestyle of freedom, luxury, rewards and professional recognition? 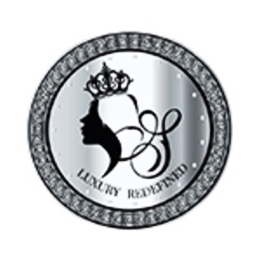 Introducing the worlds first luxury fashion and lifestyle club. 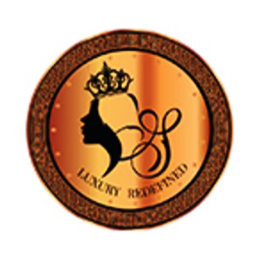 Creating your own luxury brand is a very difficult task indeed, why bother and risk the chance of failure when you can guarantee your success by partnering with a recognized luxury brand. From earning mega money to building a high profile career, you decide how far you progress and the type of lifestyle you achieve. It all starts with one simple step, joining slay club world Africa. As a member you’ll receive slay credits to buy any item from the slay network shopping or lifestyle platform. Receive items depending on your membership level. Purchase slay items at a discount and get the rights to resell at the slay retail price at your store or online. If you run out of slay credits and need to restock, you can easily purchase more slay credits by contacting slay concierge. All members can purchase additional slay credits if your slay balance does not cover the items you want to purchase by sending a request to slay concierge. Once you make a payment via bank transfer your new account will be set up on the slay platform and credited with the relevant slay credits promised with your membership. A slay membership card will be sent to you within 60 days of sign up. Each member will receive a solid metal card with your name on it. 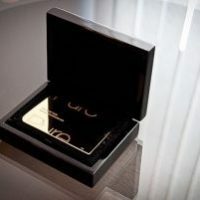 With the highest group receiving a solid 24K gold metal membership card. You will be required to log in to your account to place orders, you may also order items such as packaging and hangers directly from slay concierge. You’ll also receive access to Slaylebrity.com. Once you sign up to slay club world Africa you’ll also become a member at the world’s most elite social network Slaylebrity. This is like having your own personal shopping and lifestyle concierge. Everyday you’ll receive updates on several categories ranging from lifestyle, food, fitness, fashion and more. You can follow the slogger channels you like, to receive automatic updates on new products so you never have to search for what to spend your slay credits on. You can also share your own content on the platform for free. As a slay club world member you’ll receive a whatsapp invite to the secret slay club world member Africa group. This allows you to get quick updates on new products so you can purchase quickly before they are introduced to the public. Please note updates will be sent out according to your group level, Gold will receive updates first, silver next, and then Bronze. We love to reward our highest performers. At the end of every year, the highest sales volume member will receive a gift. Slay Club world is partnered with ProvidusBank to provide all VIP slay club world members with ultra elite World lifestyle status. 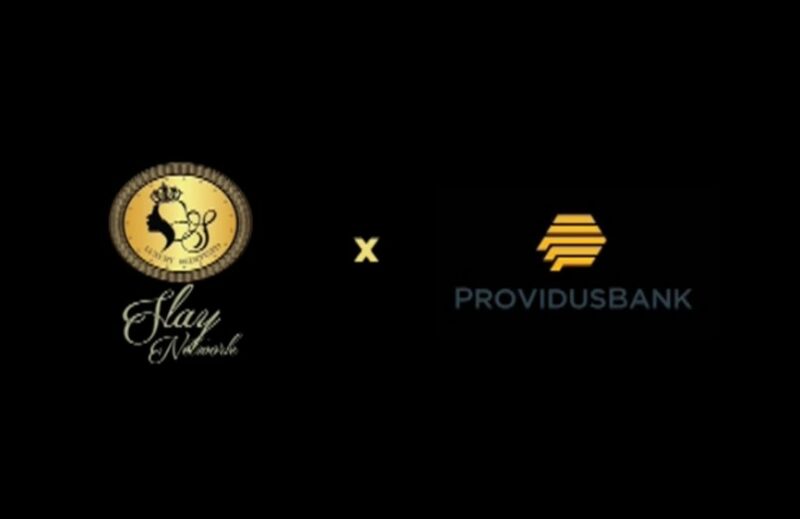 As a Slay club member you’ll be entitled to our premium world class concierge service hosted by Providus private bank. Our exceptional concierge professionals are available to offer expert travel assistance. From flight bookings, travel arrangements, hotel reservations/transfers, private jet and limousine service, exclusive access to VIP events and previews, tourist activities and even finding babysitters etc. Simply reach out to concierge via the private helpline/email that is provided to you after your sign up to enjoy these benefits. Your Slay x Providus VIP card entitles you to the VIP lounge at any Providus Branch. Attend our VIP get togethers. Over 2,500 one fine stay properties across London, New York , Paris, Los Angeles, Milan, French Riviera and more. Over 25 Oakwood properties across eight countries in Asia Pacific, including China, Japan, Thailand and India. Ensure your stay is truly rewarding with your elite membership card. Renting a car is now hassle free. With your membership card you are automatically eligible for HERTZ Gold plus rewards President’s Circle. One world airline alliance includes: Qatar Airways, Air Berlin, American Airlines, British Airways, Iberia, Japan Airlines, Malaysia Airlines, Srilankan Airlines, Lan Cathay Pacific and around 30 affiliates. Travel should feel like a privilege, and with Slay club world x Providus VIP card, it does regardless of the ticket class and airline. Enjoy unlimited complimentary access for you and one accompanying guest to over 800 airport lounges, worldwide. To gain access simply present your slay x providus VIP card and quote the secret password given to you after your sign up. ALL YOU HAVE TO DO IS SIGN UP, SPEND YOUR SLAY CREDITS- TELL EVERYONE WHY YOU ALWAYS LOOK SO FABULOUS AND HOW THEY CAN DO THE SAME BY VISITING YOUR STORE. ITS LITERALLY THAT SIMPLE! THERE’S LITERALLY NO BETTER BUSINESS OPPORTUNITY THAN THIS! Click to read review and write your own! I want more information on the company behind slay club world Africa can you tell me more? Slaylebrity is an online platform hosted by the Slay Network, which is a member-based social networking platform that prides itself as the most elite social network out there. This social network is a platform where millionaires and billionaires come to shop, socialize, and get inspired. Slaylebrity is an enigmatic community for luxury enthusiasts who want to shop for a variety of luxury gifts and other products. 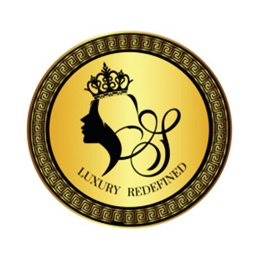 The platform carries the world’s most luxurious items that allow secure and convenient shopping by its community members. Slaylebrity offers a wide range of luxury products, including beachwear, specially crafted shoes, wearable hair units, and haute couture eyewear. The online store also provides designer wear for children and the finest dress collection for women. Additionally, customers can check out the store’s Slay Billionaire category that displays unique items, such as billionaire’s popcorn and customized iPhone in 24-carat gold, pure silver and Swarovski styles. Customers can even find Slay Mac Book that is adorned with more than 5,000 Swarovski crystals. Slaylebrity store carries the best luxury gifts for her https://slaylebrity.com/images/unusual-luxury-gift-ideas/. These can be the ultimate gift tokens for precious near and dear ones. Creating close-knit relationships is undoubtedly a vital aspect of success in any relationship. Thus, sending out gifts is one of the best ways to create a good rapport with your lovers, as well as partners and colleagues. A few such luxury gifts to buy for women may include a stunning customized Apple Watch with Slay croc skin or a customized Slay iPhone. Slaylebrity also offers a variety of extremely rare items for gifting. When do I get paid for referrals? You will receive your referral payments every Friday if you have accrued any payments on payment date. CAN I TRANSFER MY SLAY credits TO SOMEONE ELSE ? YES, you can buy membership for someone and you can also transfer your credits from your account to another slay member account. Your account will be credited with your slay dollars within 48hrs of payment confirmation. Only members can refer new members. To refer a member go to Slay Club World Africa Form enter the details for the person you want to refer and make sure you enter your membership ID in the membership ID area so that your referral will be correctly linked to you. We make every effort to ensure that we accurately represent these products and services and their potential or income. Earning and income statements made by our company and its private members are estimates of what we think you can possibly earn. There is no guarantee that you will make these levels of income and you accept the risk that the earnings and income statements differ by individual. As with any business, your results may vary, and will be based on your individual capacity, business experience, expertise and level of desire. There are no guarantees concerning the level of success you may experience. The examples used are exceptional results, which do not apply to the average purchaser, and are not intended to represent or guarantee that individual’s success. An individual’s success depends on his or her background, dedication, desire and motivation. There is no assurance that examples of past earnings can be duplicated in the future. We cannot guarantee your future results and or success. There are some unknown risks in business and on the internet that we cannot foresee which can reduce results. We are not responsible for your actions. The use of our information, products and services should be based on your own due diligence and you agree that our company is not liable for any success or failure of your business that is directly or indirectly related to the purchase and use of our information, products and services.